The Pastor of the First St. Mark Baptist Church is Rev. Charles J. Carter Jr. He is married to Lady Michelle Carter. They have been married for 22 years and have two sons. Pastor Carter has been leading First St. Mark for five years. Through his teaching and preaching our church has grown in membership, knowledge of our Lord and Savior Jesus the Christ, as well as exemplifying love for one another. As Pastor, he has penned our Motto: “Pressing toward the Mark” in deed and thought. He has mobilized and challenged the Ministries of the church to be active; moving ‘spectators’ to become ‘participants’! He is also a Peace Officer with the Harris County Sheriff’s Office for 26 years. He serves as a board member of the Afro-American Sheriff’s Deputy League. He is also the Chaplin and has for the last 5 years been the author of the Christian Corner in the League’s newsletter. He is presently the General Secretary of ABEGAT under Moderator Tillman. 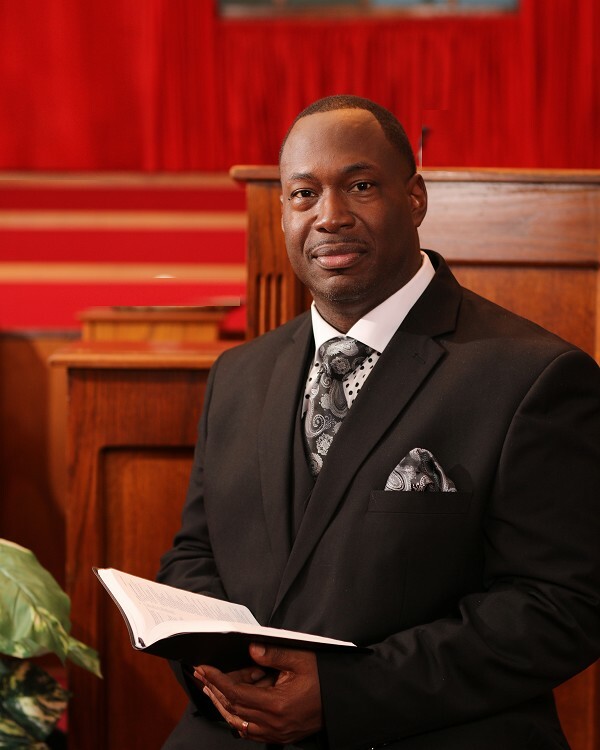 He serves as Houston Area coordinator for the American Baptist Eastern General Association of Texas and President of the Ministers Council in the American Baptist General State Convention of Texas. He is a graduate of the College of Biblical Studies with a Bachelor of Science degree in Christian Leadership and a Masters in Theology from Liberty University.